I need to be able to adjust the overall brightness of the specular maps, as of now I have to edit them in an outside program like photoshop. The current sliders are good for defining the shape of the specularity, but I would request an additional control to adjust the overall lightness/darkness of the final images. It shouldn't be hard to implement an additional slider for that. I only need to know what exactly you mean by the overall lightness. A gamma slider? I have implemented a new slider for the specularity brightness that will be included in build 0.5. 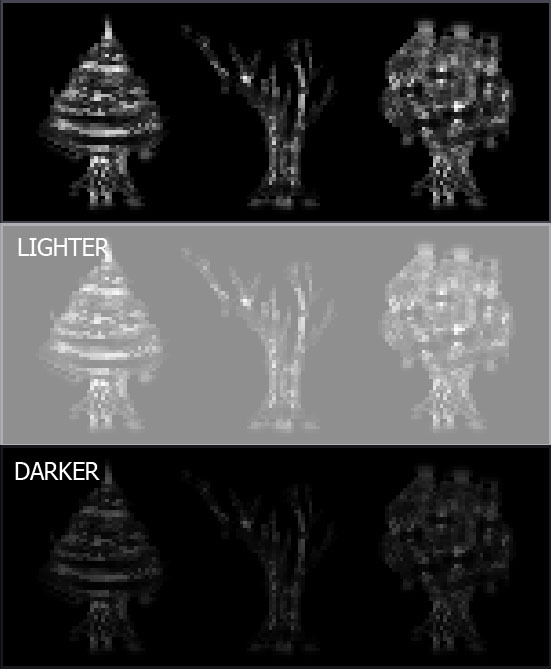 At the moment, it is very simple (simply adds/subtracts a fixed value to the overall brightness). When referring to Photoshop's level adjustments. There are 5 values that can be adjusted: min, max and gamma of the input image, and min/max of the output image.